This post was initially a contest where we gave away a backpack strap water bottle holder. That giveaway has ended. Still, this is an incredible, useful product, please continue reading. 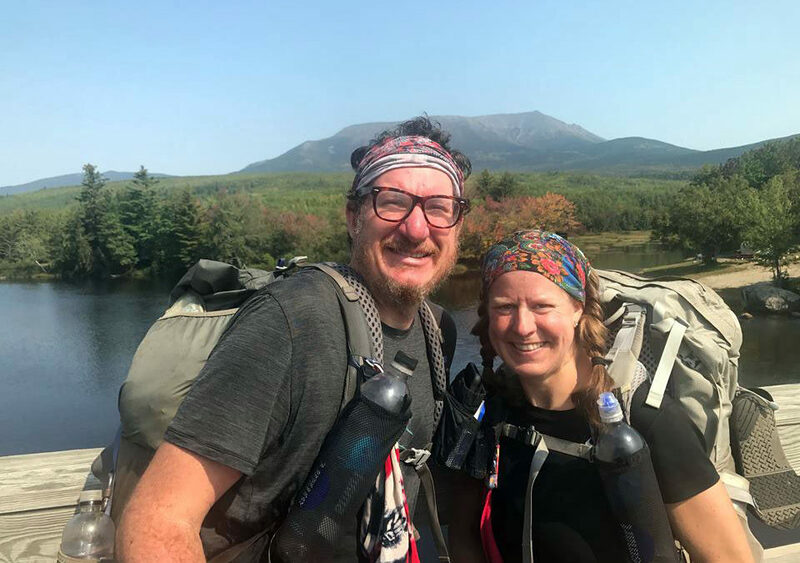 All along our thru-hike we received oohs, ahhs, and questions about the water bottle holders we used that attached to the shoulder straps of our backpacks. Like all great products, this one solves a problem. Many hikers find it difficult, to near impossible, to reach their water bottles stored in the side pockets of the backpack. We heard this over and over on our long hike. Once, we even helped a hiker retrieve her water bottle because she couldn’t reach it; she had been reduced to taking her pack off every time she needed a sip. Hiker, Justin Anderson designed this as alternative to the side-pocket dilemma. His design, craftsmanship, and materials are all excellent and the product is ultra lightweight. We put our shoulder strap water bottle holders to the ultimate durability test and they lasted the entire 2,200 mile trip, enduring extreme weather and Sunsets’ less than kind treatment of gear. We can’t say enough good things about Justin’s Water Bottle Holder! Here are some photo’s from Justin’s Etsy shop that show what the holders look like, front, side, and back. 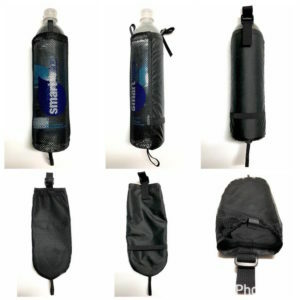 The backpack bottle holders come in two different sizes, one for the 700 ML water bottle, and one for the 1 L water bottle (we have the 1 L size). Justin also makes a cell phone holder pouch that attaches to your shoulder strap the same way. 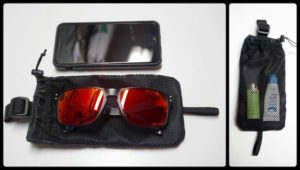 The cellphone holder also has an additional (mesh) pocket on the front (perfect for hand sanitizer and chapstick) and measures 4″ X 7.25″ when laid flat and will fit most cell phones (even plus sized models without bulky cases). Not only are these products great, we love supporting innovators and hikers who are trying to stay connected to the trail through their work. Oh, and Justin’s products are reasonably priced. You can find all of his gear here, on Etsy. I drink a lot of water especially when we are out walking or hiking! Always looking for hands free way to carry things. These look awesome. Would love to win one or get link to buy. What an awesome giveaway. It was a pleasure to follow your AT hike and look forward to your 2018 adventure. The water bottle strap and phone case would be an awesome addition as I continue to section the AT this year. This is an ingenious idea! Necessity is the mother of invention, right? Awesome product and video to demonstrate! Both of those would be wonderful for my short hikes. I drink water all day and take it everywhere I go. I’m planning a thru hike in 2020 with my son. This would be extremely helpful! I love it. I have been looking for something like this since I started my thru hike last year. I scoured the internet and every outfitter I passed along the trail. Due to breaking my ankle, I had to stop but I will be starting again in April. We kinda lucked into them. I am so glad we did! Best of luck with your new start! Would LOVE to win one of these to help keep water handy when hiking with my four littles! Love reading your blog posts and keeping up with videos; keep them coming! It’s one of the few things that my husband hasn’t purchased yet 🙂 Having watched all of your videos, it is definitely a necessity! This is such a nice feature to add to your pack. I always struggle to get my water bottle and usually have to ask Neil to get it for me. These look awesome! Would love to have them for my upcoming thru hike! AT 2018!! That’s so Groovy!! How very cool!! I watched your entire AT hike on YouTube, always looking forward to the next video! I also follow you on Facebook. You two are so awesome, and I always admired your water bottle holder. Maybe I’ll win one! I’m always watching for more videos from you two! Happy hiking! Thanks for your support. More videos to come! His shop is linked at the bottom of the post. Thanks Chica and Sunsets for your info on the water bottle holders and other small item holders. We liked them when we saw you using them on the trail and were looking to get some to add to our equipment list. I’ve been watching your videos for awhile. Thanks for promoting cottage industries! My husband, son & I are prepping for a 4 day hike in the Smokies this summer and your blog has been so helpful! Thank you for sharing your experiences. Thanks so much! And hopefully you don’t have all rainy weather in the Smokies (like we did!). These are so clever! I have never been the type to carry a water bladder and prefer bottles but it is a pain to always have to ask my hiking partner to get them out of my side pockets because I can’t reach them. UGH! Thank you for sharing! Nice!!! So excited about this! I can’t tell u how many times while hiking I’ve had to ask my son or wife to please put my water back in my pack just so I wouldn’t have to take it off!! Can’t wait to share ur next adventure!!! Miss following you guys on the AT & can’t wait to follow your next adventure! Hike on! I already follow you guys on YouTube and your Facebook page & looking forward to your up coming hike. I would love to win and thanks for the chance. Wishing y’all happy trails. This is exactly what I need for my AT thru hike! I start March 30th and I’m so excited!! The only thing better than your videos is your Arm Candy (http://costaricachicaarmcandy.com/)!! Loved meeting ya’ll in Maine last year. Can’t wait to hear about your Spain adventures. 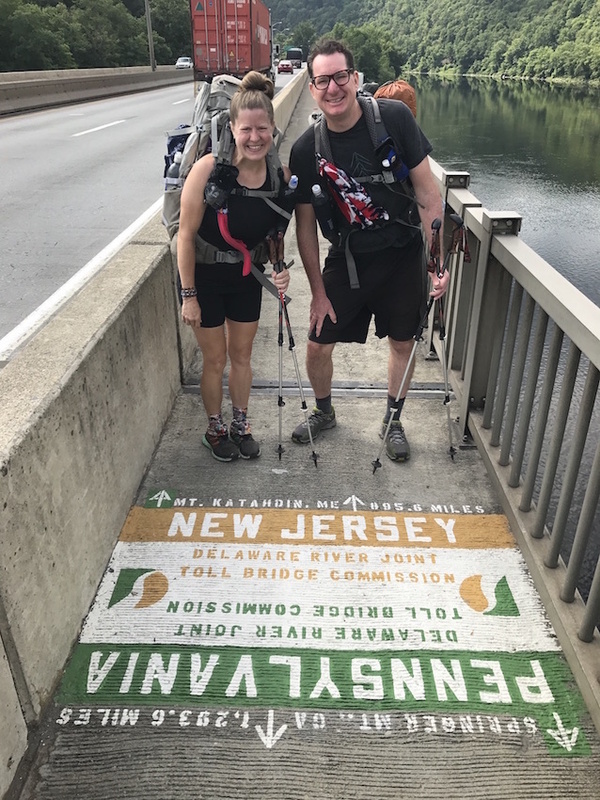 You guys have inspired us to thru-hike March 2019 ! We have been binge watching your videos over and over and over. We use your equipment lists to help us in choosing our gear. Thanks so much for giving us the opportunity to WIN this very handy piece of equipment ! Aw, so honored! Thanks, Melissa (and good luck to you guys in ’19!!). I’m gearing up for my NOBO starting March 27 and would love to have something to carry my water bottle! Just what I need..No more near shoulder dislocations trying to reach my water bottle! I love my pack but as with most designs, the bottle holder is tucked away behind. This would be great for my section hikes. It can be a pain to reach back for the bottle out of pack sides. I followed your thru hike on instagram. You’ve been my inspiration for my AT thru hike on 3/29/18! I am that person that needs help getting the water bottle out of my pack, lol! It’s so awkward! The water bottle holder is on my list of things I still need to get. I would love to win it! That’s so cool that we have inspired you. And yes it is so awkward, isn’t it?!! I would love one of these. The only gripe I have about my pack is it’s very hard to easily reach my water. Thanks for the valuable content and giving back to the hiker community! This would be great to have. The water bottle holder on the back pack is almost impossible to reach when I want and falls out when I bend over. I’m working on obtaining the items I will need for the AT hike but also for all of the other hikes I will be doing this coming summer. I saw you use the water holder in your videos and thought, now that’s a perfect and easy way to keep the water. A lot better than trying to reach back on the side of you backpack. Thanks for sharing the amazing adventure. You guys rock! Great idea and a cool giveaway! You guys are the ? knees! ? 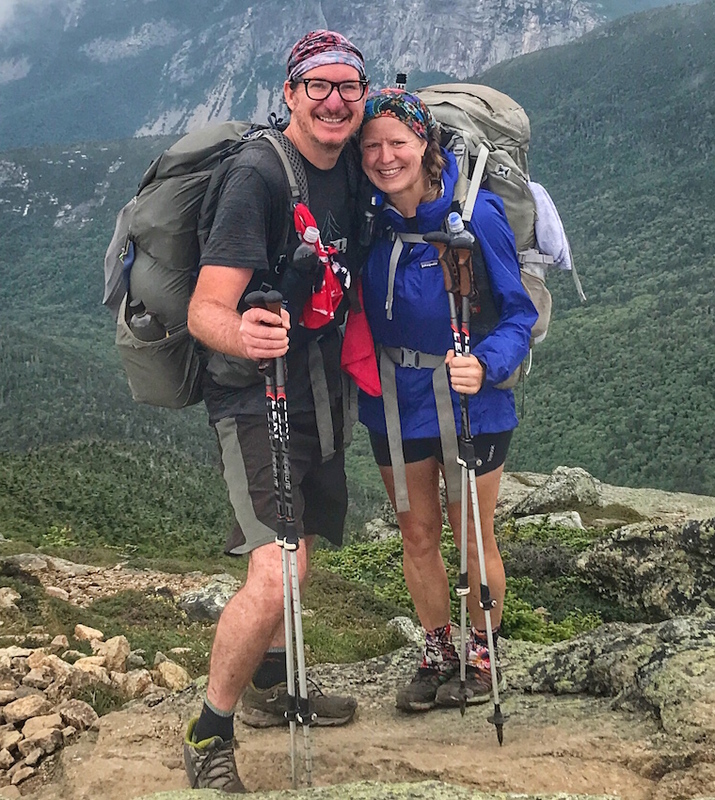 Thanks for your generosity, I know a lot of hikers are on a shoestring budget and this contest is a great way to improve quality of life on the trail. Love Justin’s work! These water bottle holders are brilliant! Love your website & videos too!! Love watching your blogs! I’m so excited to start my own thru-hike this March! Thanks so all the advice you both have given us!! I love these so much! My pack has a bladder and I use it sometimes but this would be so much better. Fingers crossed! I do hope I win. Love you guys! I will definitely be ordering from Justin even if I do win because my husband wants one too! Great job in describing how to attach the holder. Can’t wait to try it. I followed both of you on your thru hike and saw how great these water bottle holders worked for you. Took your recommendation and actually ordered a few of them from Justin a few days ago. Would love the cell phone holder. Really enjoyed following Chica and Sunsets AT thru hike. Can’t wait for Their next adventure. I love your videos and followed your entire AT thru-hike.